UPDATE: Civil Air Patrol announced that wear of the Airman Battle Uniform (ABU) has been authorized for CAP members. For more information read this blog post. Please be advised California Wing members are NOT authorized to wear the ABU until 15 August, 2016-even though the national effective date for the ABU is 15 June, 2016. Please do not wear the ABU in California Wing until the authorized wear date of 15 August, 2016! CAP cadets and adult members that meet USAF height/weight and grooming standards are currently authorized to wear the USAF-style Woodland Camouflage Battle Dress Uniforms (more commonly known as the BDU) and/or a navy blue CAP Corporate-style Utility Uniforms. The BDU was the battle uniform for all of the U.S. Armed Forces for over two decades prior to the Armed Forces transitioning to service-specific battle uniforms a few years ago. 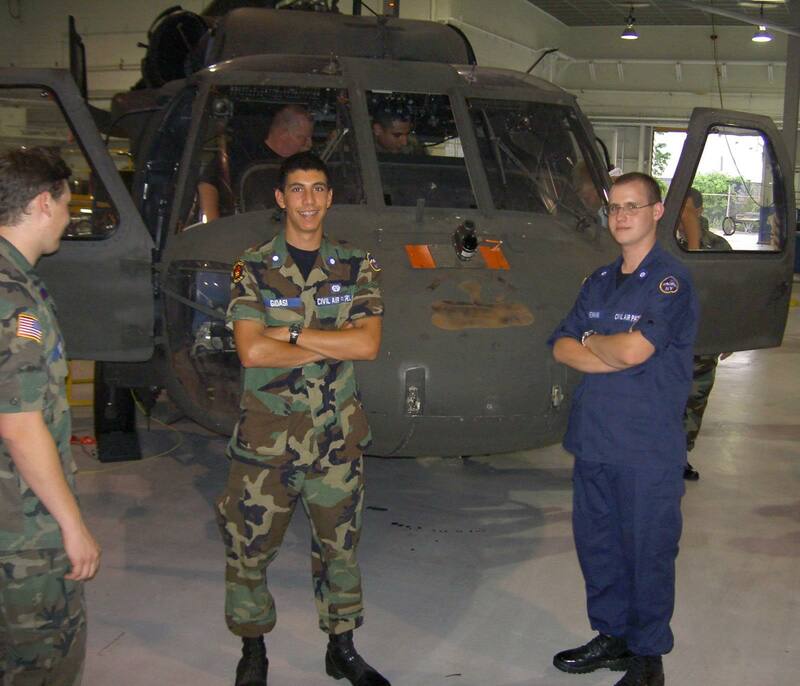 While the USAF began issuing the Airman Battle Uniform (ABU) to Airmen in 2007, Civil Air Patrol continued to wear the BDU. You may have heard that the CAP National Uniform Committee recently approved a proposal to request USAF approval for CAP to wear the ABU. This is still pending and no official approval has been released at this time. Therefore, members should NOT procure ABUs until an official announcement has been made. 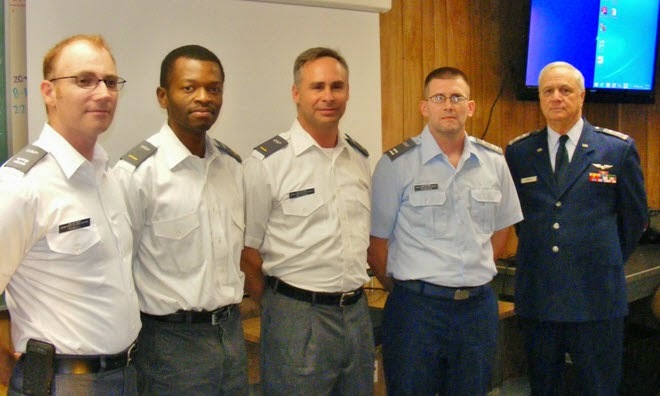 Civil Air Patrol adult members may also choose to wear the Corporate-style Utility Uniform, which is similar in cut, functionality and fabrication to the BDU, except that it is navy blue. Black boots are worn with both the BDU and CAP Corporate Utility uniform. A hat is required with the BDU when outdoors, while a hat is optional with the Corporate-style Utility Uniform. Adult members may also choose to not wear a uniform, unless they're involved in an activity that does require it (such as flying) or when the Commander specifies uniform wear as mandatory. Lastly, adult members can also wear the CAP Working Uniform (aka the blue polo shirt). The polo shirt is worn with grey pants, black belt and black shoes. Civil Air Patrol uniform items can be purchased from Vanguard, the official supplier of CAP uniforms and insignia, from AAFES locations on military installations (specific requirements may apply), and through sources on the Internet. As we have been mentioning over the past few weeks, CAPM 39-1, the Uniform Manual is your friend! No Meeting Tonight at Squadron 150 HQ! Squadron 150 will NOT be meeting tonight at our HQ at Los Alamitos JFTB tonight (21 April 2016) we will be participating in a Group 7 training for aircrew members on the Garmin 1000 system at Squadron 40's HQ at Fullerton Airport (KFUL) from 1900-2030. If you're a current CAP aircrew member or interested in becoming one, we encourage you (and all of our squadron members) to attend this Group 7 training meeting on the G1000. 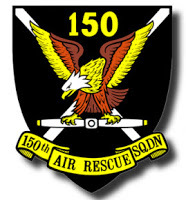 If you're interested in becoming a member of Squadron 150 we invite you to attend our meeting next week (28 April) where we will be conducting part one of a two part "Tabletop SAREX (Search and Rescue Exercise." Long Beach Senior Squadron 150 is pleased to announce the promotion of our newest officer; SM Rommel Anacan was promoted to the grade of 2nd Lieutenant. 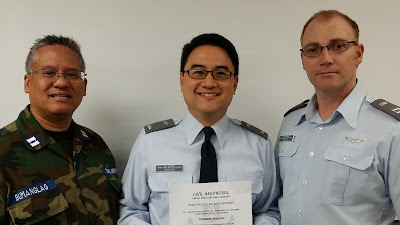 2d Lt. Anacan joined Civil Air Patrol in September 2015 and is a Mission Scanner trainee and currently serves as the squadron's Public Affairs Officer. 2d Lt. Anacan joined CAP out of a desire to serve the community, support the U.S. Air Force and because of his interest in aviation. "I first heard of Civil Air Patrol as a teenager-and always wished I had joined then. Many years later when I realized that I wanted to volunteer-CAP seemed like the natural choice for me." When not serving in CAP, 2d Lt. Anacan is an organizational development consultant, motivational speaker and corporate trainer. Read the press release for 2d Lt. Anacan's promotion here. As an aviation-focused organization it makes sense that our aircrew members would wear flight suits during missions. There are two authorized Flight Duty Uniforms (FDUs): the USAF-style sage green version and a navy blue version. Members who meet USAF height/weight and grooming standards are eligible to wear the USAF-style sage green flight suit. Black boots, black t-shirt and a USAF-style flight cap or CAP baseball-style cap (when outdoors) are required to be worn with this uniform. Sage green flight jackets in the current issue CWU-36 (lightweight) or CWU-45 (heavier weight), along with the MA-1 style are authorized with this uniform. USAF-style FDU's are made from Nomex, which is a fire-retardant material, and provides an additional layer of protection in the event of an emergency. CAP members can also choose to wear the Navy Blue Corporate Flight Duty Uniform (CFDU). Members wearing the CFDU do not have to meet USAF height/weight and grooming standards. providing an additional level of flexibility for members when choosing the uniform that is right for them. Many of the same standards that apply to the sage FDU apply to the CFDU, except the USAF-style flight cap is not authorized for wear with the CFDU. 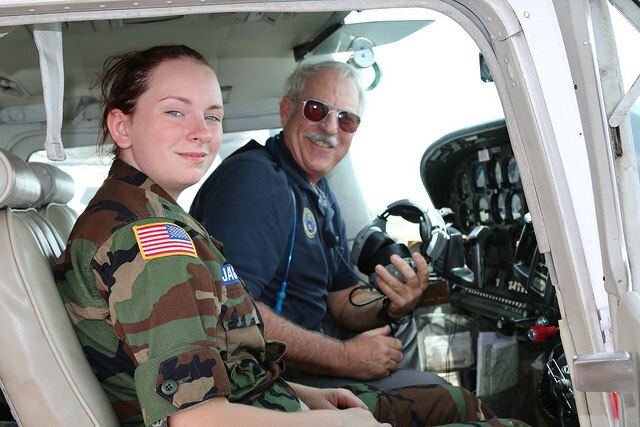 A Civil Air Patrol cap may be worn, but is not required when outdoors. Depending on the type of missions Squadron 150 members may also wear the CAP Working Uniform, consisting of a CAP blue polo shirt and grey slacks or tactical pants, and black shoes. No headgear is required with this uniform combination and civilian outerwear is authorized. 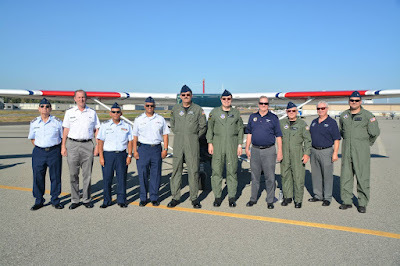 California Wing does require all aircrews on USAF-assigned missions to wear the sage FDU (made of Nomex) or navy blue CFDU (made of Nomex) uniforms. However, when on non-USAF missions, aircrew members may have the option of wearing the Corporate Working Uniform (blue polo uniform). If you're considering CAP membership or are already a Squadron 150 member, the good news is the "Uniform of the Day" (UOD) will be clearly announced prior to any mission, so you'll know exactly what you'll need to wear. As with all CAP uniform questions, consult the current CAPM 39-1 (CAP's comprehensive uniform manual) for specific information. What Do You Wear in Civil Air Patrol? 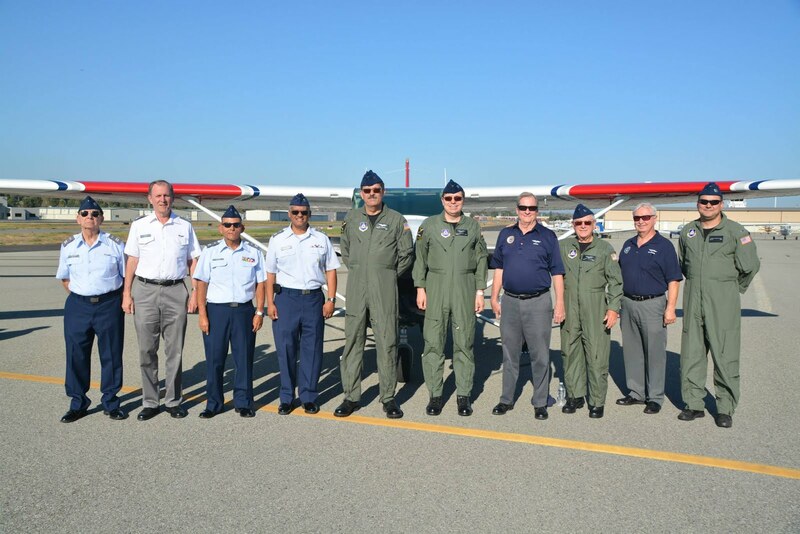 If you're reading this and are considering membership in Civil Air Patrol, you may be wondering about what exactly you're supposed to wear while participating in CAP activities. Senior members may be required to wear a uniform during some activities - such as when flying in CAP aircraft. 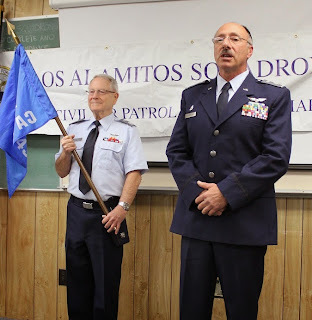 Senior members may wear the USAF style blue uniform or one of the distinctive CAP uniforms. However, some members choose to serve quietly without wearing a uniform. You can purchase uniform items from Vanguard. www.civilairpatrolstore.com. As the official Auxiliary of the United States Air Force, CAP members have the privilege of wearing Air Force-style uniforms, provided certain requirements are met. In the picture below Capt. Jerry Civalleri (left) is wearing the short-sleeved blues uniform. While Capt. Civalleri is wearing a tie in this picture, the short sleeved uniform can be worn with or without a tie. This uniform is most often worn at squadron meetings and at other CAP events where a professional appearance is desired. 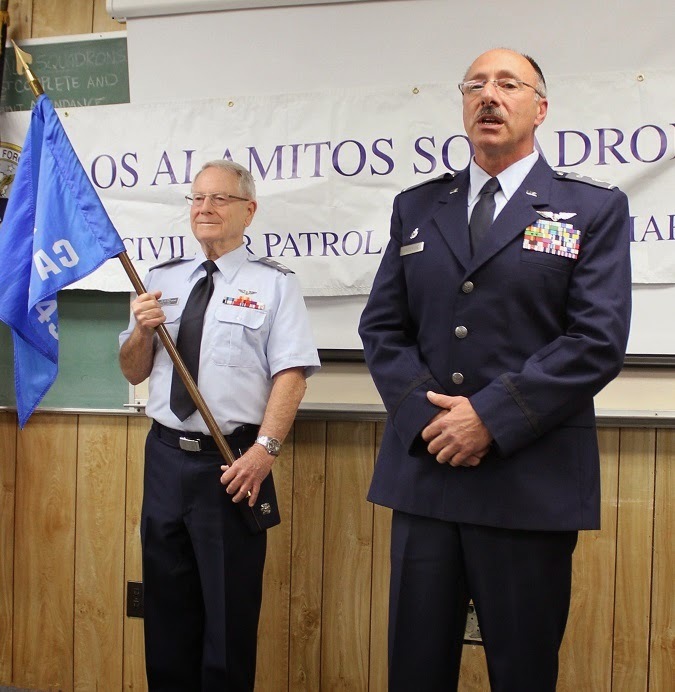 Lt. Col. Robert Calderone (right), South Coast Group 7 Commander, is wearing the Air Force-style Service Dress Uniform. The Service Dress Uniform is generally worn for occasions (in the instance below Lt. Col. Calderone is wearing this for a Change of Command ceremony) that may require a more formal appearance. In addition to Air Force-style uniforms, CAP members can choose to wear CAP Corporate uniforms. In the picture below, the three members on the left are wearing the CAP Aviator Shirt uniform, which is an alternative to the Air Force-style Blues Uniform. The benefit of CAP Corporate uniforms are that wearers do not need to meet USAF grooming and height and weight standards, and the uniforms pieces are often more cost effective to procure.